Compare NSW gas suppliers Red Energy, AGL, EnergyAustralia and Origin on customer service, bill & cost clarity, tools & advice, environmental sustainability, ease of sign-up, value for money and overall gas satisfaction in 2019. Adding to its success in our electricity customer ratings, Red Energy has topped our annual review of natural gas suppliers in NSW. It scored five stars for factors including value for money, customer service, bill & cost clarity and overall satisfaction in 2019. It’s time for NSW households to start thinking more carefully about their choice of gas supplier. With the removal of gas price regulations in 2017, customers look set to be inundated with a raft of new retailers and products, so it’s crucial to do your homework because a great deal could be waiting for you. All this extra competition should help put a downward pressure on gas prices, but it may also make the process of picking the right deal for you more confusing. To help you along the way, consider our gas customer satisfaction ratings. We’ve surveyed more than 1,300 bill-paying customers across NSW to find out what they think about their gas suppliers. Price is hugely important, but the best deal for you could also mean great customer service, helpful tools & advice, or having a retailer with a strong focus on environmental sustainability. 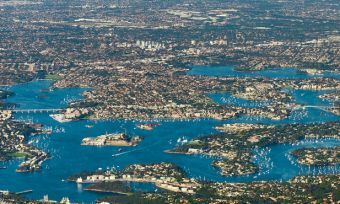 So, which supplier is really cooking with gas in NSW? This year, our review includes the big three gas suppliers in NSW – AGL, Origin and EnergyAustralia – and their biggest challenger right now – Red Energy. Gas customers across NSW have given us their feedback on their retailer based on a range of important factors, with Red Energy coming out ahead. While the big three gas companies still dominate much of the market, Red Energy is certainly making a big impression. It’s the second year in a row that Red Energy has topped our NSW gas ratings – in addition to its success in our annual electricity review. For electricity, Red has now been rated highest five years on the spin! In terms of gas, Red Energy was the only supplier to score five stars overall, with the rest on four stars. But Origin and AGL received just three stars on value for money. Read on as we explore what the four gas suppliers in this review have to offer and how you can secure a better deal from them. And while you’re here, you may want to compare their electricity prices with our comparison tool below. Red Energy is owned by renewable energy generation company Snowy Hydro, which should help explain why customers are happy with its focus on environmental sustainability. 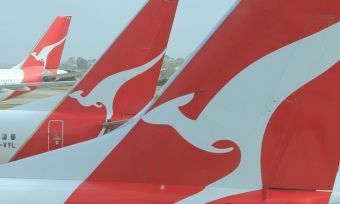 It also keeps things fairly simple for prospective customers with three residential gas plans to pick from, based on whether or not you are a Qantas Frequent Flyer member. Red Energy seems to focus on competitive rates rather than discounts as two plans bring a relatively modest 10% off for paying bills on time. One of these products boasts the added bonus of two Qantas points for every $1 you spend on gas. Red Energy’s third plan ramps up the Qantas points to seven per $1 spent, though the catch is that you won’t receive the 10% discount off gas usage and supply charges. Red Energy also gives customers access to its exclusive Red Energy Rewards program, providing money off social activities such as movie tickets, attractions and hotels. All Red Energy plans in NSW come with variable rates, no contract term or exit fees. Red Energy earned five stars for overall gas satisfaction for the second time in as many years. It also rated five stars for value for money, customer service, bill & cost clarity, and environmental sustainability. It got four stars for online tools & advice and ease of sign-up. Integrated energy company Origin offers a comprehensive range of gas products for NSW households to consider, including three variable rate deals and the only ‘fixed cost’ plan on the market. 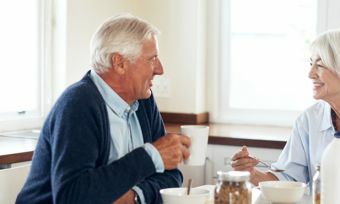 Its variable rate plans come with varying discounts and conditions based on personal preference, with customers able to choose between a pay on time or direct debit discount off usage charges for 12 months. The third Origin plan offers a smaller, but guaranteed, discount off both usage and supply charges. The benefit term can be up to 24 months. Origin is also the only provider to offer a fixed cost plan whereby customers can pay the same amount for gas every billing period for a year, regardless of their actual usage. The Predictable Plan sees households offered a unique quote based on their usage history, which is reviewed once every 12 months. Origin also has a habit of offering online sign-up credit to new customers. Origin received four stars for customer satisfaction this year, with four stars for customer service and environmental sustainability. It earned a notable five stars for bill & cost clarity and ease of sign-up, but just three stars for online tolls & advice and value for money. EnergyAustralia has a range of gas plans for prospective customers to choose from, including a fixed rate product that sees rates locked in for two years. 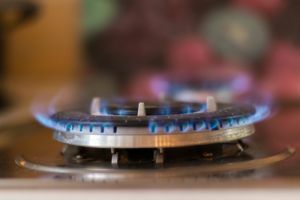 EnergyAustralia says it will pass on savings to customers on this plan should the wholesale cost of natural gas go down. The plan also includes a large pay on time discount, but exit fees apply if you cancel the contract early. The company also offers three variable rate gas plans. One brings a large conditional discount for paying bills on time, while the second product has a smaller, albeit guaranteed, discount. The remaining plan has no conditional discount, just low rates. The three plans all have 12-month benefit periods, with no exit fees. All of EnergyAustralia’s discounts apply to gas usage charges only. The retailer also tends to offer bill credit when you sign up online, but this is usually only available with certain plans. EnergyAustralia scored four stars for overall satisfaction in our latest NSW gas review, plus four stars on value for money and bill & cost clarity. It got three stars in all remaining categories. AGL has multiple electricity offers in NSW, but currently just two gas deals for households in the state to choose from. The first comes with a seemingly generous pay on time discount off gas usage charges for 12 months. Rates are variable and there is no contract period. Customers who sign up to this plan could also be eligible for online sign-up credit. AGL’s second gas plan has no discounts – just competitive usage and supply rates. AGL is one of several retailers to go down the no discount plan route, with these deals often working out cheaper than discounted offers. AGL is one of the most prominent power companies when it comes to double up discounts for those who take out both electricity and gas. It also has its own rewards program called AGL Rewards, and customers can collect flybuys points as they go, in addition to bagging a bonus 10,000 points when they sign up online. Like Origin and EnergyAustralia, AGL got four stars for overall satisfaction in NSW this year. It also received four stars for bill & cost clarity, but just three stars in all other areas, including customer service and value for money. Red Energy looks like one worth considering, having also topped our latest review of electricity providers in NSW. But it’s worth comparing a wide range of plans available in your area before making a decision. if you want to compare gas prices, you can do so with our cost comparison report here. You can also review electricity prices here. While AGL, Origin and EnergyAustralia have the most residential gas customers in NSW – 90+% between them according to latest industry report from the Australia Energy regulator – households across the state have been able to switch gas suppliers for several years, with providers such as Simply Energy, Click Energy and Dodo Power & Gas also competing for customers, though some retailers usually only offer gas when customers also sign up for electricity. Before the complete removal of gas price regulations in 2017, AGL, Origin and Actew AGL were required by law to offer regulated gas contracts in NSW, which were agreed with the Independent Pricing and Regulatory Tribunal. These regulated tariffs were provided in addition to their standard and market offers, which all gas suppliers in the state are now free to offer. The path to gas savings starts with understanding what type of contract you are on and which is the best bet for your needs. With the removal of regulated gas contracts in NSW in 2017, all households will be on either a standard or market contract. 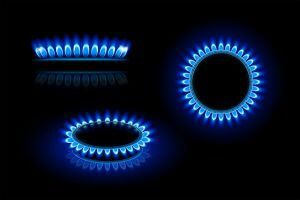 Standard contracts: All gas providers are required to offer standard contracts. While they have prices set by the retailers, these can only be changed every six months, plus the company has to adhere to a robust set of customer protection rules set in legislation. Standing offers are ongoing and have no exit fees. Market contracts: These are contracts set out almost entirely by the energy retailers. This means that prices can be changed at any time, there are set contract periods, and exit fees might apply. However, these contracts also provide the opportunity for customers to save through conditional discounts and other sign-up incentives. While standing offer plans provide some protection against price increases, Canstar Blue research shows that households will almost always save by switching to market contracts, provided that they stick to the terms and conditions. Households previously on a regulated contract will have been switched onto their retailer’s standard contract following gas price deregulation in NSW, unless they have explicitly asked to be placed on a market contract. Anyone unclear about their personal circumstances should contact their retailer. The NSW government also provides a helpful FAQ resource. While there are more than 20 electricity providers now operating across NSW, only about half this number also retail natural gas, and not in all areas. As more and more customers consider their electricity options, it could mean that a growing number of households choose to get their gas and electricity from different providers. However, the big providers often offer ‘double up’ discounts for receiving both electricity and gas from them. They also typically offer three or four different gas products, with varying discounts, such as pay on time or direct debit. Most come with variable rates, though fixed rate deals are also occasionally provided. Variable rate plans: The majority of gas plans in NSW come with variable rates, meaning prices can change at any time, as long as your retailer gives you notice of at least 10 business days. Fixed rate plans: These plans allow customers to ‘lock in’ usage and supply rates for the term of their agreement, usually two years. While offering some protection against future price increases, usage rates on fixed rate plans are likely to be higher to begin with. 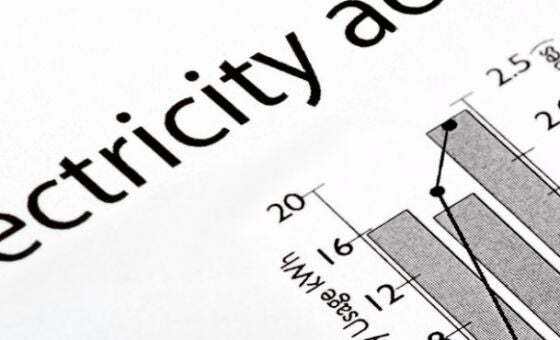 Usage charges will likely make up the majority of your overall energy costs, but it’s also important to pay attention to supply charges, because the providers with lower usage rates often make up for these with higher daily supply charges. These are the costs you incur on an ongoing basis simply for being connected to the network. The cheapest gas usage charges that you’re likely to find in NSW will be around 2.8 cents a megajoule – the unit of measurement for gas. To put this into context, a typical gas oven will use around 12 megajoules (MJ) an hour. Fixed daily supply charges usually cost around 50-60 cents. Fortunately, gas tariffs in NSW are fairly simple. Households are charged for gas in ‘blocks’, with the first block of gas used (say, 20MJ) usually costing the most. For example, you might pay 4.2 cents for the first block of 20 megajoules a day, then 2.5 cents for the next block, and so on. Learn about electricity tariffs in NSW here. ActewAGL – the primary electricity and gas retailer in the ACT – also serves some customers in regional NSW. Just over half of gas customers in NSW (50%) signed up to their supplier over the phone, while 33% signed up online. Just 67% of survey respondents think they get a good deal on gas. What type of contract are you on? Standard contracts are almost always more expensive than market offers, so switching from the former to the latter is the first positive step towards securing cheaper rates. 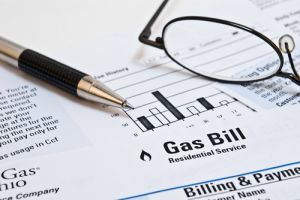 Compare the usage and supply charges of various gas plans: Energy companies are required to publish their price fact sheets on their websites, which is where you will find these details. Consider the discounts and other incentives offered: Once you’ve worked out what cheap and expensive usage and supply prices look like, consider the discounts being offered and how they compare to other deals. Make sure you understand the conditions of the discount and how long the benefit period is. Also consider how other consumers rate their energy suppliers. You will never really know how good or bad a retailer is until you’re a customer, so online reviews like ours provide an insight into what you can really expect. It’s the providers that strike the perfect balance between price and good customer service that usually rise to the top of our ratings. This year, Red Energy is the gas and electricity supplier to beat in NSW, but be sure to compare a wide range of options before diving in. Canstar Blue surveyed 12,000 Australian adults across a range of categories to measure and track customer satisfaction, via ISO 26362 accredited research panels managed by Qualtrics. The outcomes reported are the results from customers within the survey group who live in New South Wales, have a gas account, and pay the bills – in this case, 1,304 people. EnergyAustralia has introduced a new fixed rate electricity and gas plan called Secure Saver. Find out everything you need to know at Canstar Blue. 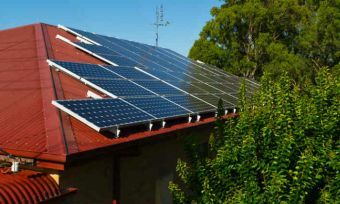 A guide to finding the best deal on solar. 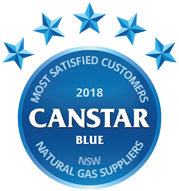 Canstar Blue compares feed-in tariffs from Australia’s leading energy retailers.